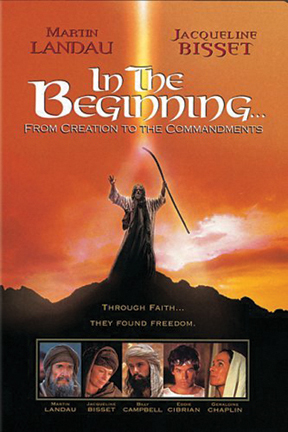 Centered on one of the oldest and greatest spiritual texts of the Western World, In the Beginning is a powerfully rendered film, retelling some of the most enduring stories from the Old Testament Ü those of the patriarch Abraham and his lineage. The saga begins with Creation and Abraham's call to find the Promised Land, then seamlessly weaves together the epic quest of a people through the lives of Isaac, Rebecca, Esau and Jacob, the remarkable rise to power of Joseph, Moses and the burning bush, and the origin of Passover. Stars Martin Landau, Jacqueline Bisset, Billy Campbell, and Eddie Cibrian.